This atmospheric character study is a biting commentary on the cracks beneath social facades. 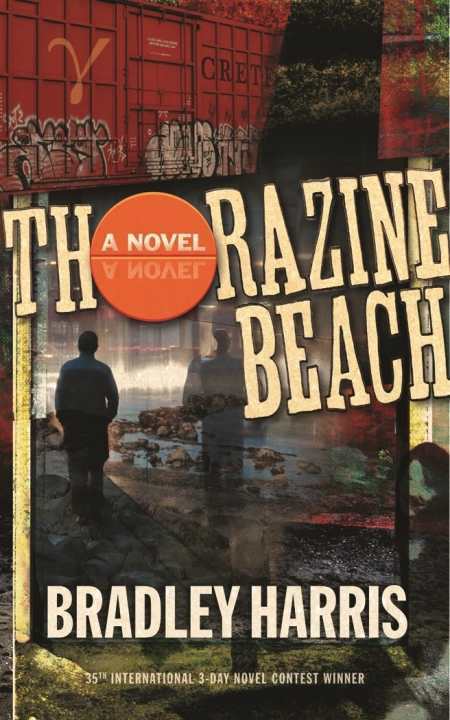 Winner of the 35th International 3-Day Novel Contest, Thorazine Beach is a concise character study of sixty-year-old private investigator Jack Minyard. Harris paints the enterprising, hardscrabble former infantryman and recovering alcoholic as a local Starbucks fixture whose break arrives in the form of a surveillance gig. Less a full-fledged traditional mystery than a gritty tale of renewal composed in dialogue-rich scenes, the author’s second novel featuring Minyard is a lavish portrayal of summer in Memphis, Tennessee. Harris describes motel interiors, roadsides, rail yards, “rattletrap little oases,” and other facets of the Southern city with a singular ability to reveal his protagonist’s ambivalence. As a Canadian outsider, scenes strike Minyard with their poverty, and are sometimes depicted with disdain: “The Paris Cinema, where the movies they show aren’t exactly, well, cinema. Or Parisian. A couple of self-styled ‘antique malls’ whose merchandise might be better described as debris. A whole lot of stops aimed at those for whom booze, tattoos, and cheap cigs are regular offerings on the altar of existence.” Passages that contemplate natural features in his adopted hometown reveal a humbler, if not reverent, attitude: “In the trees looming about, insects scratched, hummed, sang in bass, tenor, soprano…counting the seconds and counting, I suspected, the age of the earth. We humans, here, I’d come to realize since embracing the South, were merely tenants.” The effect is a sobering, honest look at a complex setting that melds vice and beauty. Alongside Minyard’s everyday routine, harsher events swirl in the form of human trafficking. The crime, which is not central to the plot, unfolds offstage. As a freelancing spy, Minyard is privy to neither the entire investigation nor its aftermath. Rather than serving as the volatile crux of the book, the crime becomes a plum opportunity for the down-and-out private eye to return to work; highlights corruption among the city’s elite; and serves as a backdrop for Minyard’s conversations with MacDonald, a former vice cop whose sartorial pretensions inspire banter. Tangents on sensitive subjects—from the hypocrisy of a religious leader to implied sexual escapades with the underage—remain less developed and seemingly affect the main characters only in passing. Still, as a novel that tracks Minyard’s progression from being an out-of-shape divorcé to forging a steadier, more optimistic future, this is an entertaining account of friendships made both by choice and circumstance. This book is recommended as a solid example of “marathon” novel-writing and as a biting commentary on the cracks beneath social facades.